Virtual reality is creeping into our world, but if you haven’t gotten on the bandwagon yet, take a few minutes to learn some of the basics. In this episode of 5 Business Rules, Monika Jansen and I offer up five tidbits to get you up to speed on virtual reality. Spend 4 minutes watching the video or read on for the tips. First and foremost, virtual reality is not just for the entertainment industry. Sure it’s easy to understand how gamers can leverage the technology, but you can too. Monika mentioned a non-profit who set up on the Mall in Washington, DC with a virtual reality experience that allowed people to experience what life is like in a refugee camp. Wow! What an amazing way to create empathy and drive donations. According to Digi-Capital, virtual reality will be a $30 billion market by 2020. 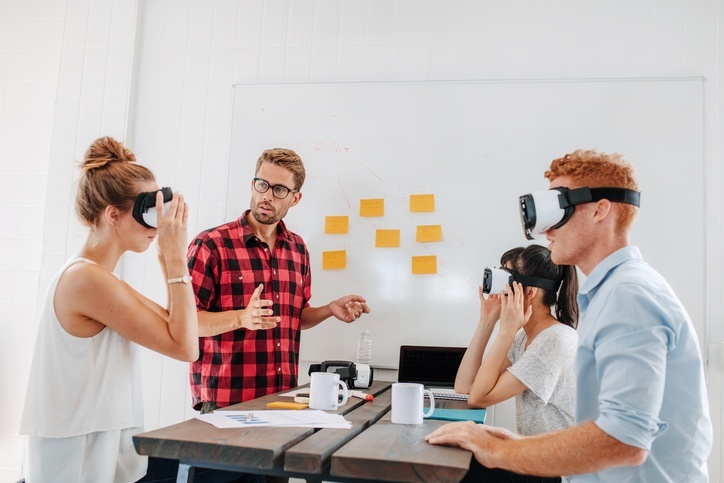 While virtual reality may feel trendy right now, the fact that analysts are predicting such massive growth in this industry means that it’s likely here to stay. It may be something only big brands can afford right now, but it will become more widely accessible and something you need to pay attention to. Facebook and YouTube already support 360° videos. That means you already access have easy access to virtual reality and might even consider putting videos out yourself. Virtual reality may very well be the next big thing after social media. The businesses that were prepared and got on board with social platforms early on saw huge wins. Keep that in mind, as you don’t want to be passed by. Make sure to pay attention to virtual reality now, so you can leverage it in the future. While virtual reality may seem intimidating, it doesn’t have to be scary. In fact it’s a way to create more intimate connection with your audience. Virtual reality gives a way for people to have an experience and understand what your brand is all about. Here’s our challenge to you: go track down some of the brands that are using virtual reality today and experience it for yourself. Start to become familiar with it and then brainstorm how you might be able to leverage the technology down the road. ← PreviousHow do I decide where to build my website?